The love affair we have with cars seems to always begin with what 'shoes' we put on them as it brings out the best in both looks and performance. Just like any romance, it's smooth sailing until you graze a curb, hit a pothole, or have solid debris flung at your rims--the ones you've spent top-peso on (especially when the forged kind). I, for one, got my hands on a rare set and told myself that I would never let anything bad happen to them. But at the end of the day, we're all just mishap-prone human beings. Thankfully, broken hearts can be mended with time. 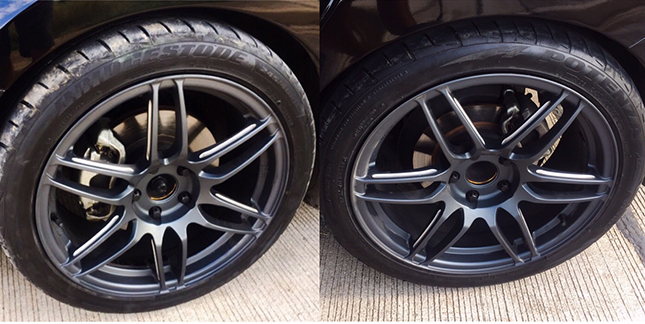 In the case of banged-up/blemished mag wheels, it's achieved with skilled hands and proper tools. In order to kiss your heartaches goodbye and rekindle the "rim-ance," I impart these suggestions to bring your mags back to their considerable glory and save you money without sacrificing safety. 1) So you got some really hideous-looking curb rash (term used for scratching or grinding your rims on a hard/jagged object) from rushing to park or miscalculating a turn. Ouch! 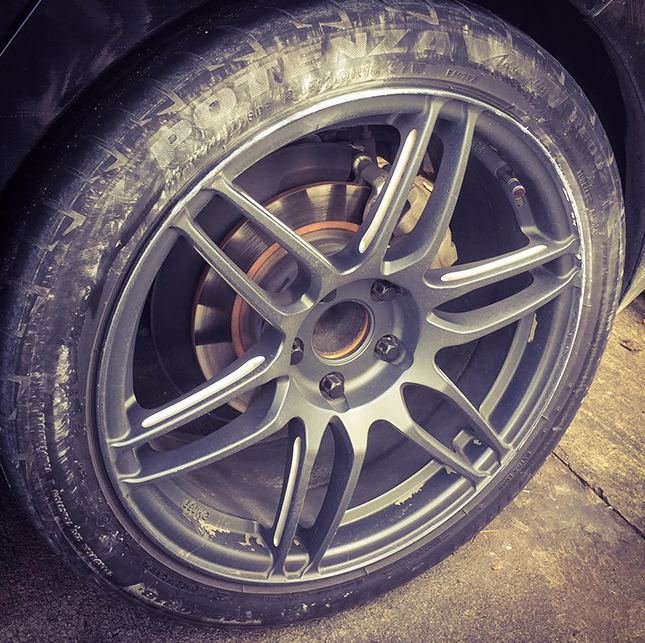 This is an all-too-common type of damage that can be easily rectified by going to a reputable shop that offers mag wheel restoration. Yes, we have them here (no surprise given how resourceful and skilled Pinoys are) and I've found a number of them spread across the metropolis. Just Google "Mag Wheel Repair Philippines." Make sure you read their reviews, and inquire at automotive forums or with car clubs. Don't hesitate to ask for assistance or feedback on the matter. 2) If your mags are not painted and come in typical finishes like glossy, brushed, matte, satin or chrome, it should be done properly especially when deep gouges are present. It is highly recommended to use Bondo Metal Reinforcement Filler to level off and fill any imperfections prior to finishing. Such repairs require you to paint over the rim with a metallic hue and a durable clear coat to match the original look after filling and sanding for a more aesthetically pleasing appearance. In this case, all four mags will require painting for uniformity. 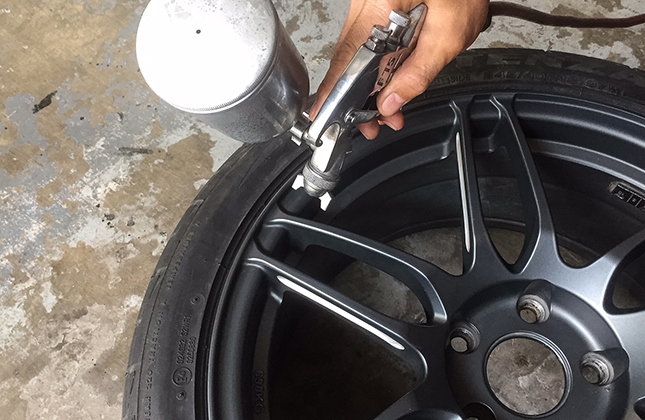 Do check with the shop as to how they tackle such issues to ensure your rims are going through the right process. As I've seen in some videos, shaving off shards of aluminum alloy to remove damaged portions is a big no-no. It's like altering the DNA structure of your wheels. If a shop is known for doing this, go elsewhere. 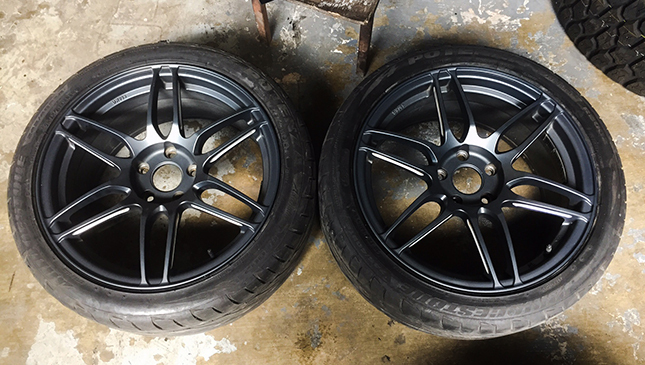 3) When your prized rims are coated with unique finishes such as matte anthracite or satin bronze, it is important that restoration shops provide precise paint-matching and skilled reapplication to blend with the original finish. Thankfully, we have shops that are capable of doing so. Feel free to ask for these specific services when considering nothing less than exceptional work. 4) In the case of bent (bengkong) or cracked rims, keep in mind that it is still salvageable provided structural integrity isn't compromised. 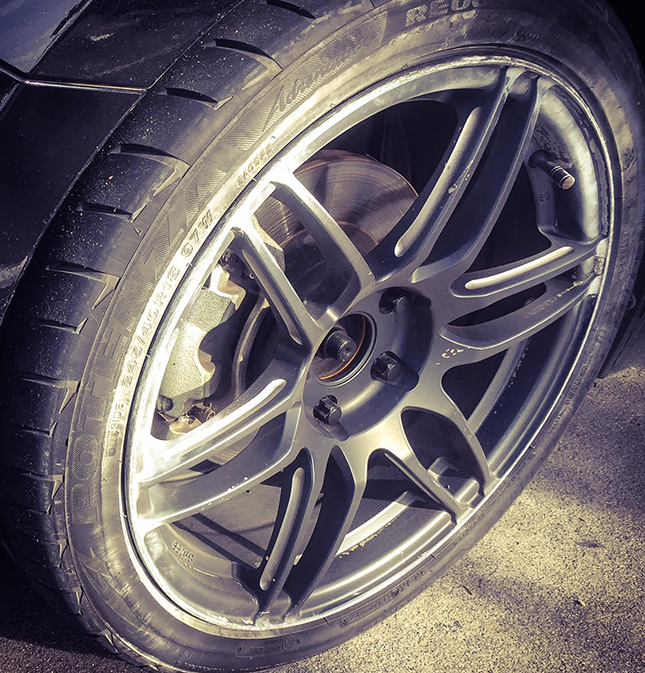 A proper assessment by a wheel specialist or repair technician is crucial in discerning whether the rims can be saved. From personal experience, I had some bends and dings on the outer lip of one of my wheels. The repair guy explained that heat application combined with careful hammering was needed to form it back to shape. 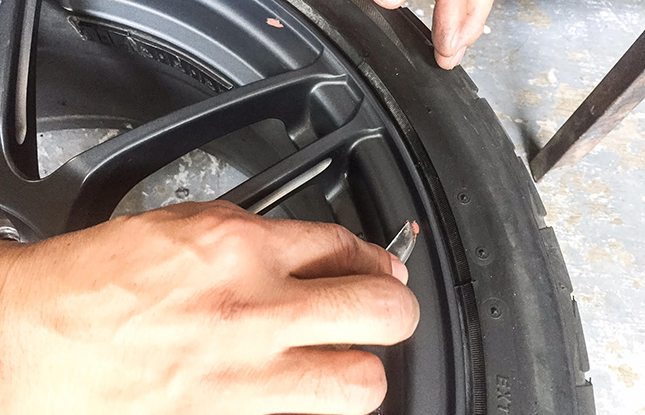 With cracks, they usually begin on the outer or inner toes of our wheels and can be patched by drilling a small hole where the crack ends (to prevent progression) and reinforcing it with TIG (tungsten-electrode inert gas) welding aluminum alloy on both the inner and outer areas of the breakage. 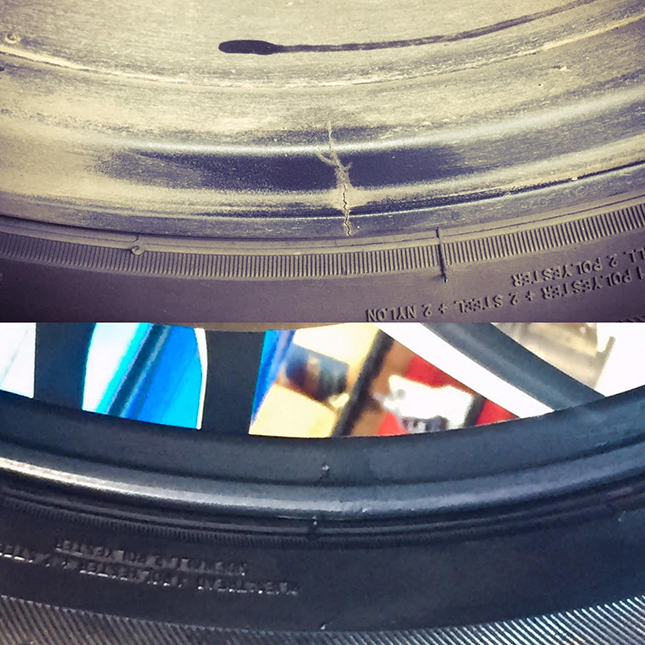 Purchasing a new set would be the safer alternative when one of the spokes is severely bent, cracked right through, has a damaged hub mount, or a chunk of alloy breaks off completely from the rim. 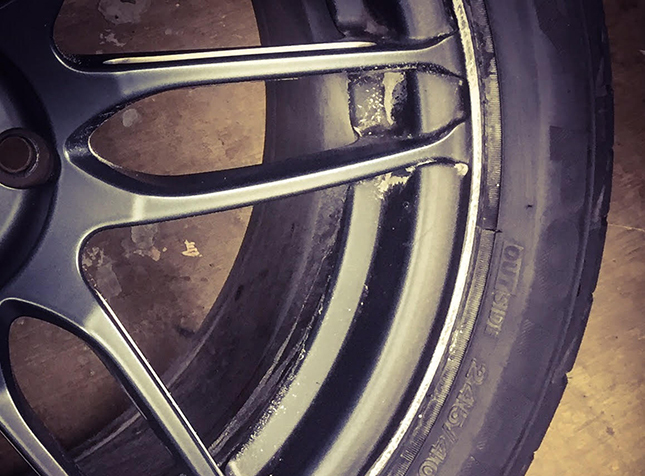 If your mag wheels are used in motorsports or on a dedicated track car, I would highly recommend immediate replacement on the slightest signs of structural damage…for obvious reasons. 5) After all fixes have been made and your wheels are as good as gold once more, a proper balancing would be in check for roadworthy performance and comfort. Friendly reminder: If you have special air valve caps such as Ray's or a tire-pressure monitoring system mounted in your rims, I suggest you take them off before you turn over your wheels for repair that involves removal of the tires. Just remind the shop manager to call you prior to remounting. 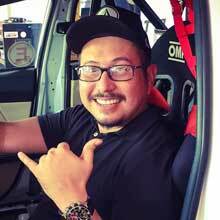 The verdict on my experience: I was aesthetically pleased with the outcome given the service cost of P2,500 for both wheels. Of course, the true test is to see how they handle on the road. Surprisingly, I noticed less balancing weights on both rims. To satisfy my obssessive-compulsive nature, I gave my car a spirited run on the expressways. I felt it needed just another visit to my buddy's wheel balancing shop and so I did the following day. My hunch was right! Just needed a few more weights (35g total for both) and the wheels felt as good as before. Considering our streets and highways aren't exactly at par with developed countries, nothing beats having the peace of mind that comes with a well-maintained set of wheels. 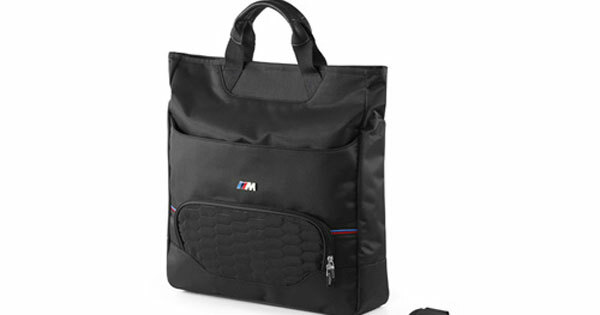 It truly pays to inspect them on a regular basis to ensure you're riding not just in style, but more important, at an optimal level of safety.